From 2012 visitors to Alderney will be allowed to bring camper vans and caravans to the island for the first time. 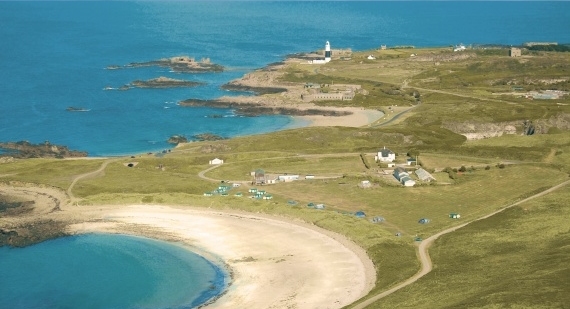 The States of Alderney approved the move following improvements to the island's only campsite at Saye Bay which has invested around £150,000 to provide new facilities, shower blocks and toilets. The States of Alderney's chief executive officer, Roy Burke, said he hoped the policy change would encourage more people to visit the island. He said the camping vehicles should be no longer than 6.9m and that drivers would need to book on to the campsite and apply for a permit from the States of Alderney. This procedure is for those who would like to bring a Campervan, Caravan or any mobile home which is to be used as accommodation at the Island’s campsite at Saye. It does not cover visits to the Island by caravans, campervans or any mobile homes for any other purpose. a permit has been obtained from the States of Alderney. The freight operator will not allow such vehicles on their vessel in the absence of a valid permit. While on the Island Campervans, Caravans or mobile homes can be driven on the roads to and from the campsite once only by the shortest route: they must not be driven on the roads at any other time. Parking on site will be limited to designated areas. The permit must be available for inspection at both the check-in point and by the Guernsey Border Agency on arrival on the Island. There is only one campsite on Alderney - you'll find details of Saye Campsite here. It allows tents, motorhomes, caravans, and also has preerected tents for hire. 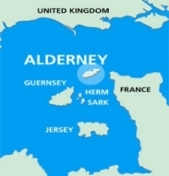 You can visit the States of Alderney website here with all relevant contact details should you require further assistance.